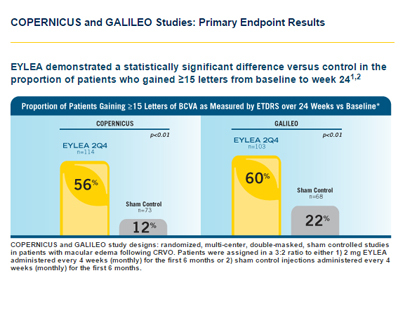 Eylea is approved for treatment of wet age-related macular degeneration, retinal vein occlusion with macular edema and diabetic macular edema. 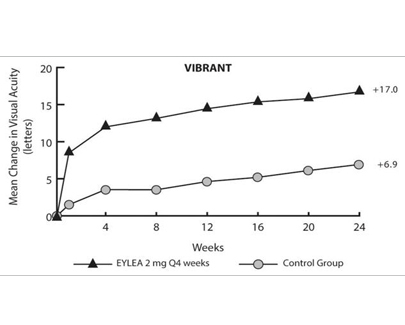 Eylea is a medication injected into the eye to treat wet AMD. 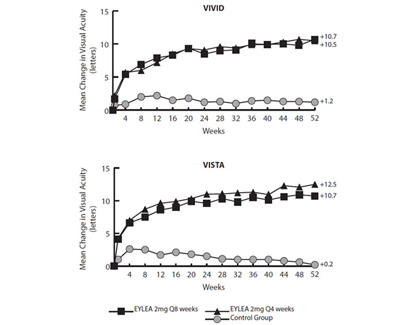 Its mechanism of action is similar to Avastin and Lucentis, and it has a higher binding affinity for VEGF (the protein it inhibits) than Lucentis. Studies have shown that it is equivalent to Lucentis for maintaining and improving vision. There is a small risk of infection and bleeding with Eylea injections, similar to the risks with Avastin or Lucentis Injections. 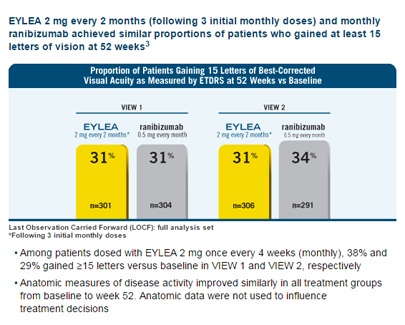 Monthly Eylea therapy is also helpful in improving vision in patients with central retinal vein occlusion and macular edema. Without treatment about 15 percent of have visual improvement. With treatment about 60 percent of patients have improved vision. 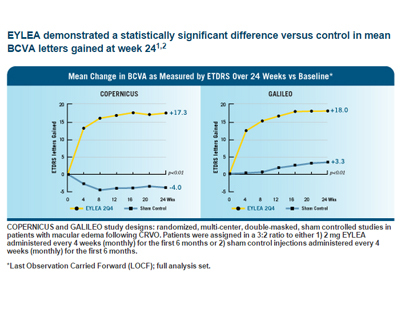 Eylea was approved for treatment of diabetic macular edema in late 2014. Eylea is administered as an intravitreal injection. Treatment is administered monthly and then the treatment interval can be extended.